One of our favorite IT girls just nabbed a contract most models dream of. And she's the youngest on their roster. Zendaya has been announced as the newest global ambassador of Lancôme Beauty. And rightfully so. The big reveal went down at the Four Seasons Hotel in Beverly Hills and she totally looked the part. Joined by current Lancôme ambassadors Lupita Nyong'o and Taylor Hill, the actress/singer was all smiles as she posed it up in a red off-the-shoulder David Koma jumpsuit and red heels, styled by her longtime stylist Law Roach. So f'in perfect. 'Daya will be featured in the French luxury house's beauty and fragrance campaigns, and we can't wait to see them! 'Daya is growing up and we're here for the glow up. "It's a huge honor to be able to represent a brand like Lancôme and join such an incredible lineup of iconic women," said Zendaya. "It's so humbling to stand next to these beautiful women and be part of this brand that I've known since I was a little girl as a symbol of elegance." An elevated step indeed. One that ties in with her brand and her interests perfectly. She was the face of Cover Girl back in 2016, afterall. That's when chick proved she can slay her own face, no glam team necessary. 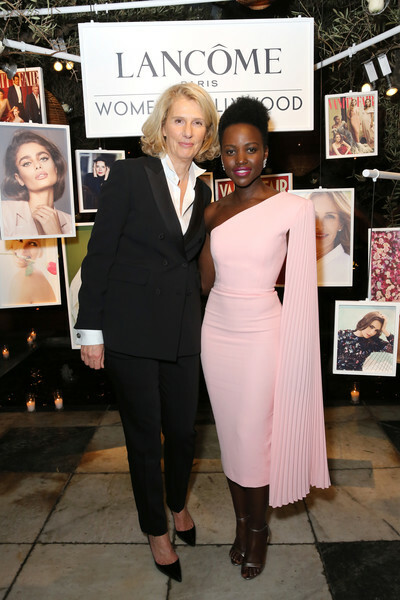 The Black Panther actress kept it pretty in pink, rocking a one-shouldered Alex Perry dress and Lancôme's Socialite lippie. It's official: @Zendaya is now a #Lancome Ambassadress! A warm welcome to the club! The Spider-Man actress got right to work. She changed into a red Alexis Mabille couture gown and Christian Louboutin heels to attend Vanity Fair and Lancôme's Toast To Women in Hollywood event. Chick can do no wrong. 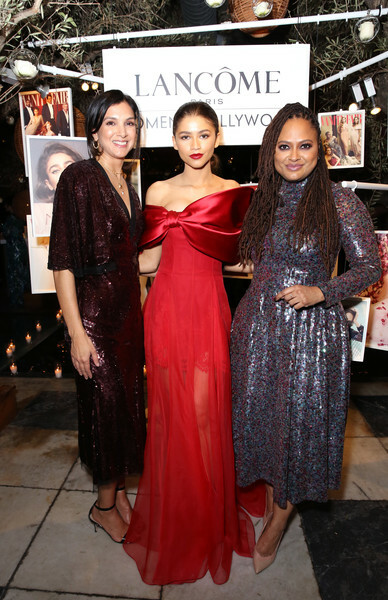 It's going to be a BIG year for Zendaya (above, posing alongside Ava Duvernay, Vanity Fair Editor-in-Chief Radhika Jones and fellow actress Storm Reid). Next week, she'll reveal her capsule with Tommy Hilfiger and she's set to star in Spider-Man: Far From Home and HBO and A24’s series “Euphoria." We know her homie/stylist Law Roach was in on the fashion feature as he posted about her Tommy Hilfiger collection on social media earlier this week. Booked and busy. By the way, Law Roach (above) became the first African American stylist to style a Lancôme Campaign. Come thru #blackhistory! Lupita, who's starring in Jordan Peele's upcoming horror film US, made her way to the soiree. "The Last O.G." 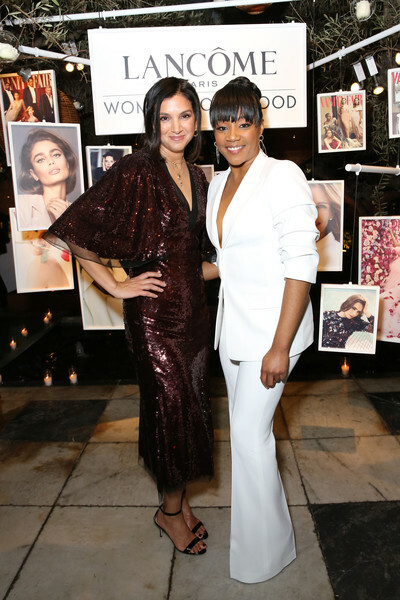 star Tiffany Haddish rocked a winter white Michael Kors suit to toast it up. A Wrinkle In Time star Storm Reid, who will be starring in Euphoria alongside Zendaya, served up a funky fresh look Jonathan Simkhai. "Jessie" star Skai Jackson rocked a printed Collection 7 dress for the festivities. "ANTM" alum/"Chicago Med" star YaYa DaCosta def came to slay in an edgy LBD. 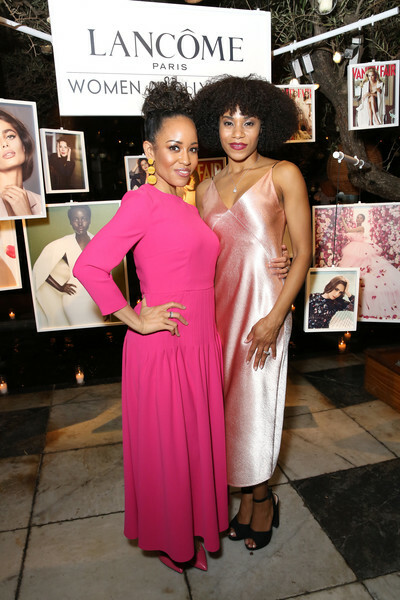 "Queen Sugar" star Dawn-Lyen Gardner and "Grey's Anatomy" star Kelly McCreary were in the mix. "She's Gotta Have It" star DeWanda Wise, who's starring in Jordan Peele's "The Twilight Zone," was also in the mix.